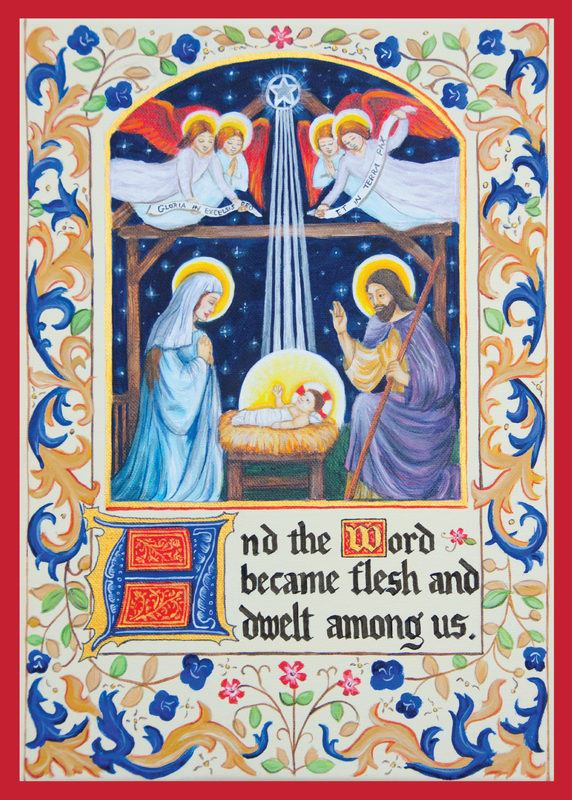 Our new Christmas cards with artwork by Kelly Klages are now available for purchase! Illumination (left) features the style of an illuminated manuscript with its decorated initial and elaborate border. 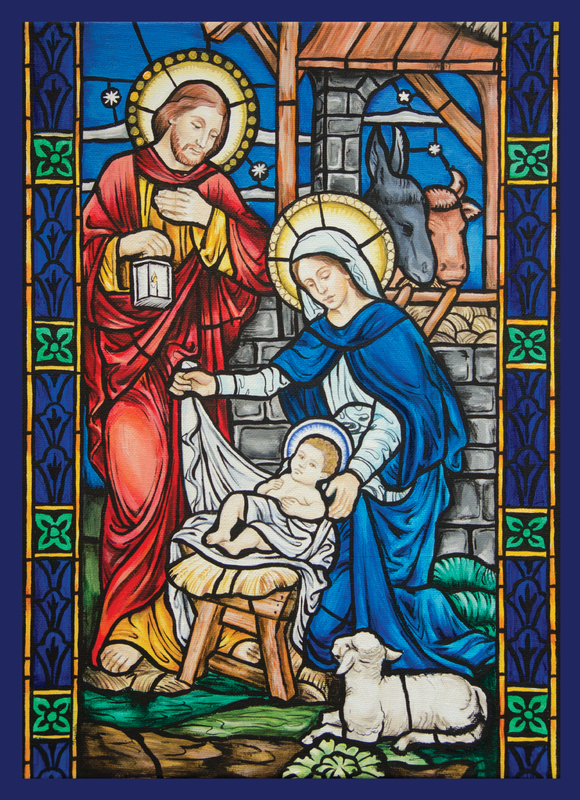 The Holy Family (right) is based on a beautiful 19th-century stained glass. The red and blue borders surrounding each image also wrap around to the back, giving these cards a wonderful richness. As with our other cards, the envelopes included are superb quality with a classic gold-foil lining. If you send out a lot of Christmas cards or want to stock up for future years, keep in mind that we offer a bulk discount for purchases of 15+ sets of any of the Christmas cards. Email us at emmanuelpress@gmail.com for details.